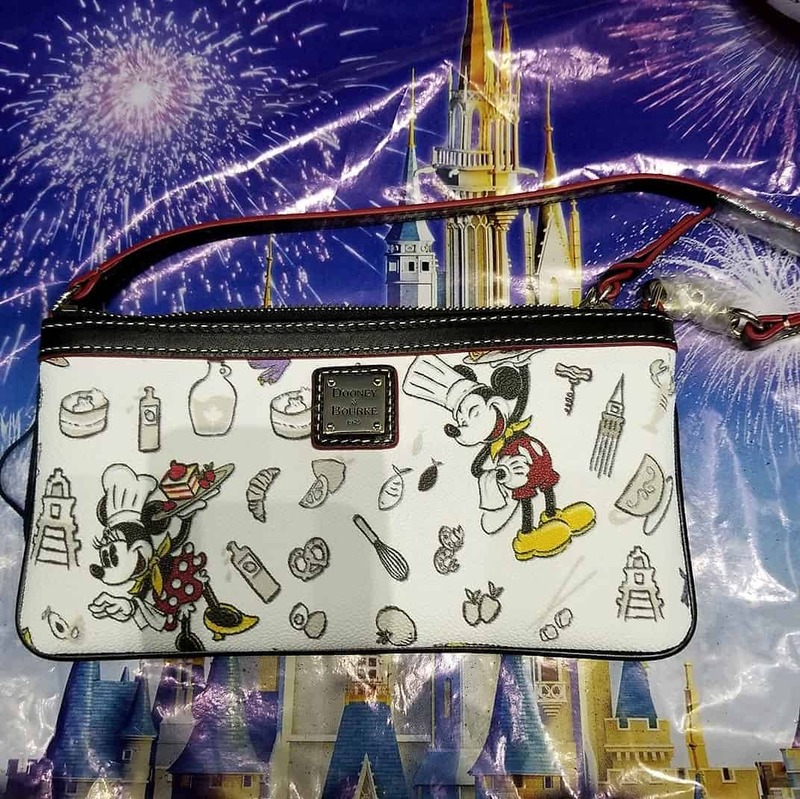 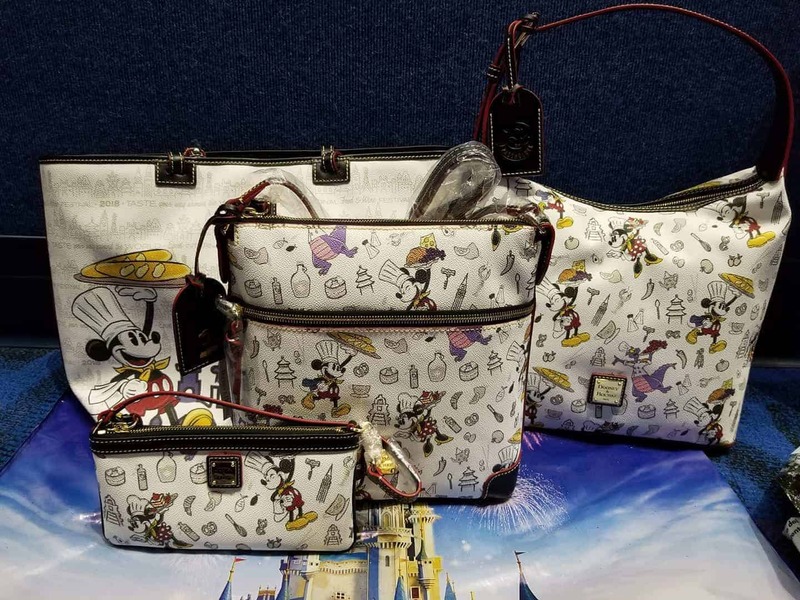 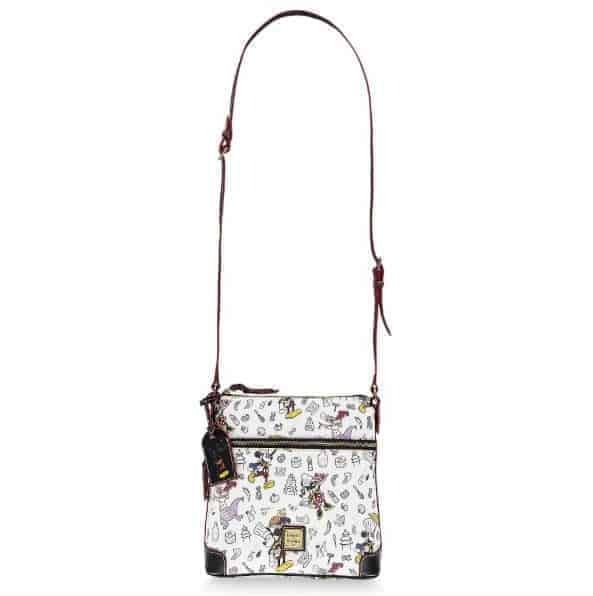 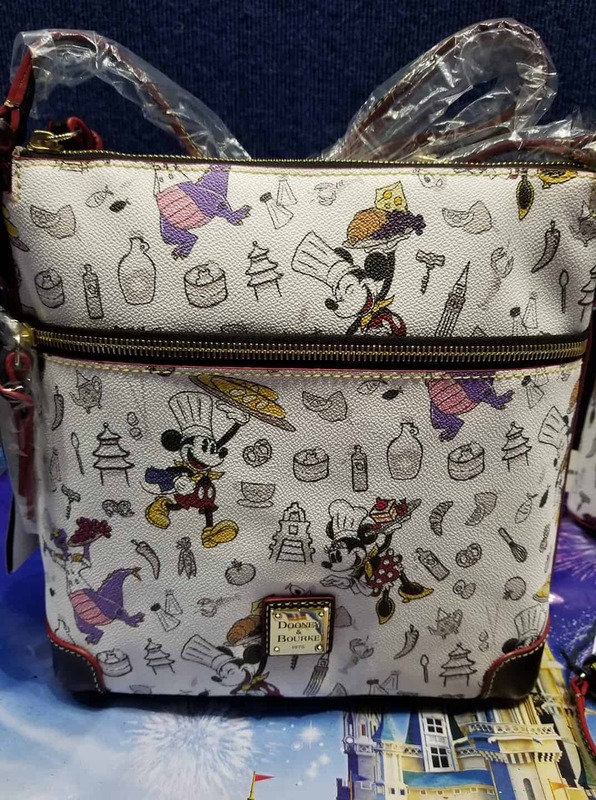 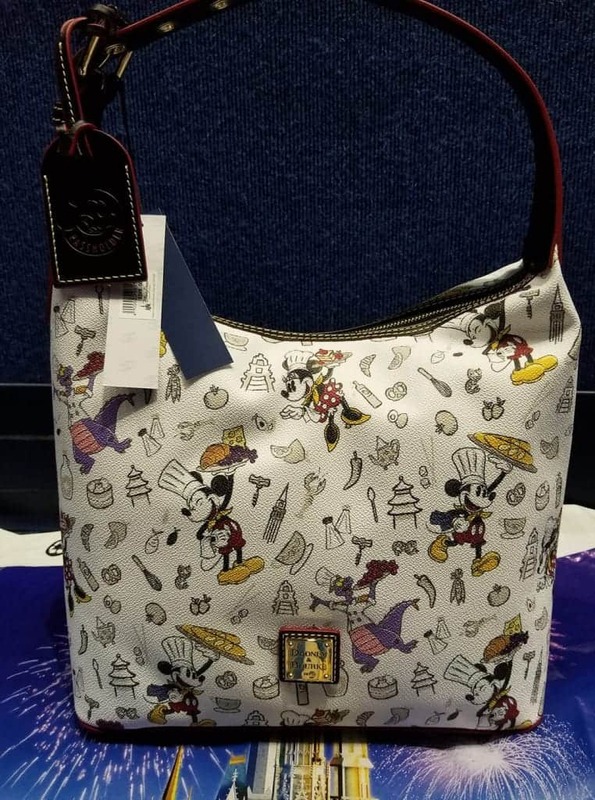 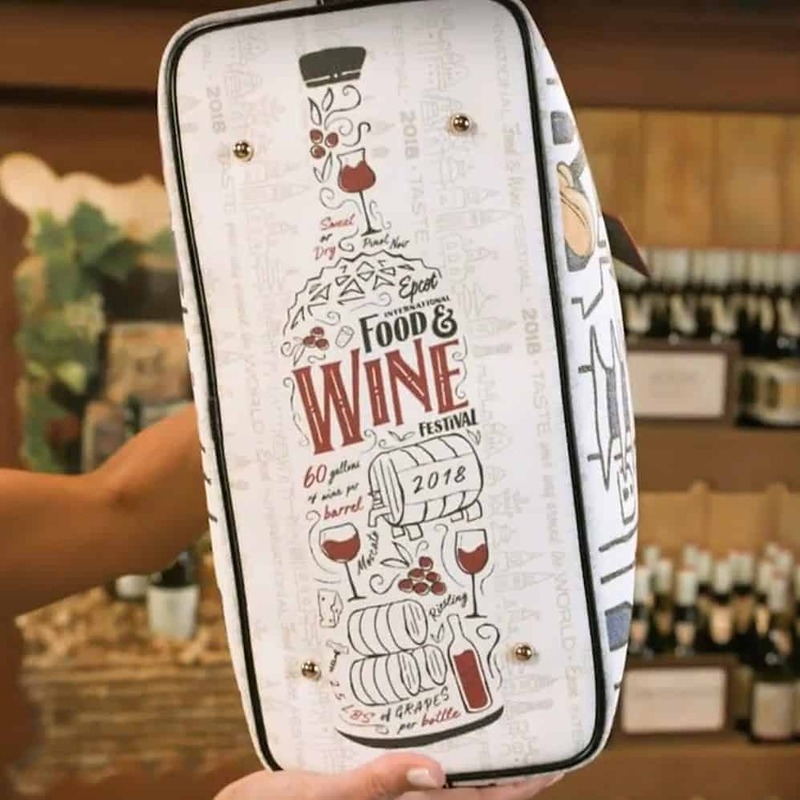 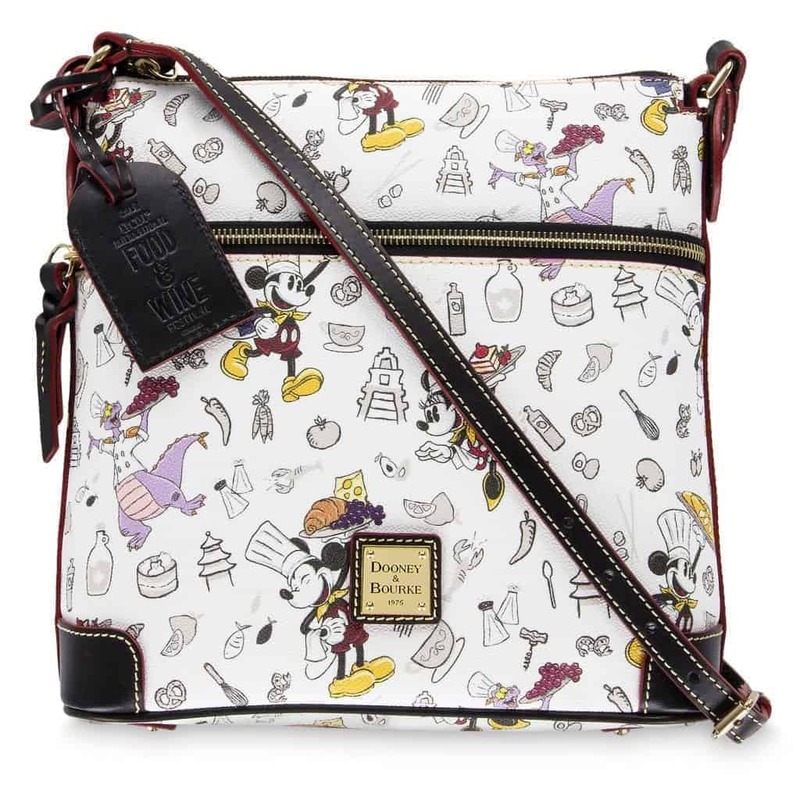 Released on August 30, 2018 at Epcot’s Food and Wine Festival, this Dooney and Bourke Collection allows you to savor your tasty adventures from the 2018 Epcot International Food & Wine Festival! 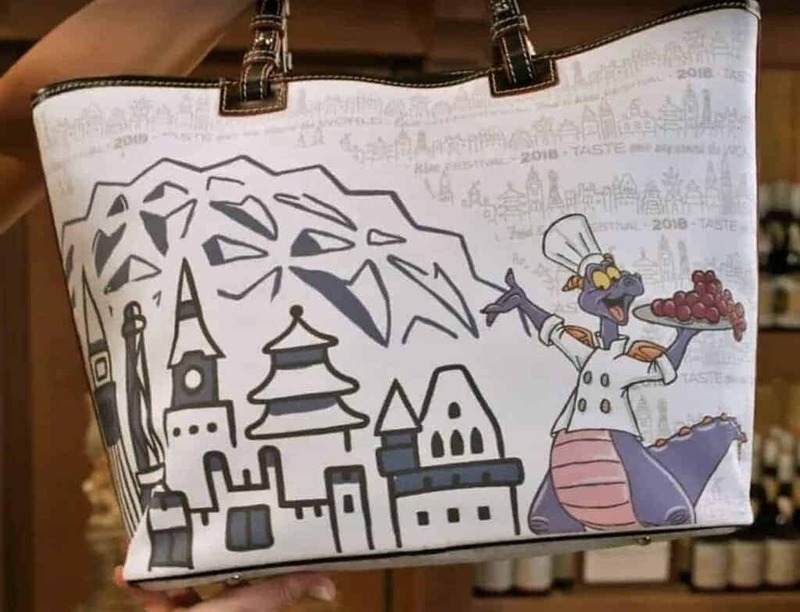 The design features screen art of Mickey Mouse and Figment paired with food and World Showcase icons. 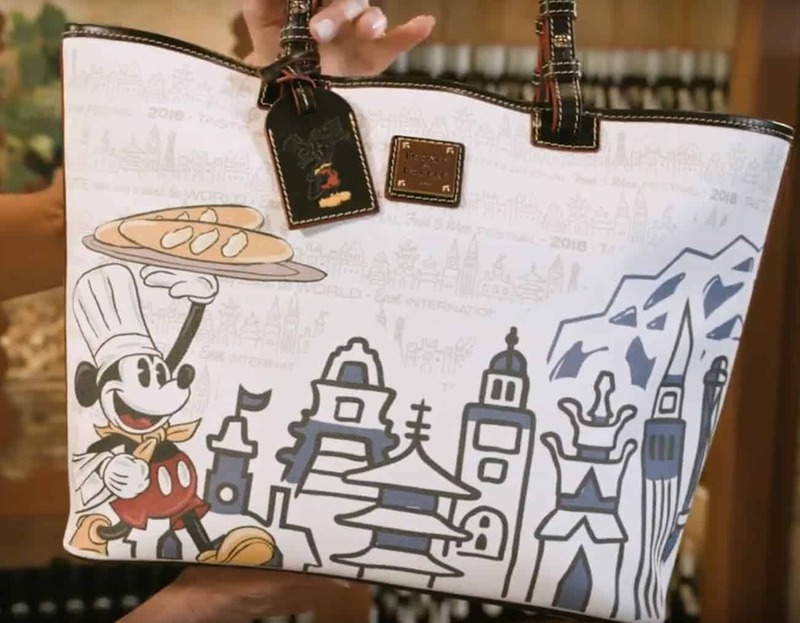 These bags make for a sweet souvenir to remember the festival!